Physicists, led by a researcher at the University of Warwick, studying new images of clouds of material exploding from the Sun have spotted instabilities forming in that exploding cloud that are similar to those seen in clouds in Earth’s atmosphere. These results could greatly assist physicists trying to understand and predict our Solar System’s “weather”. 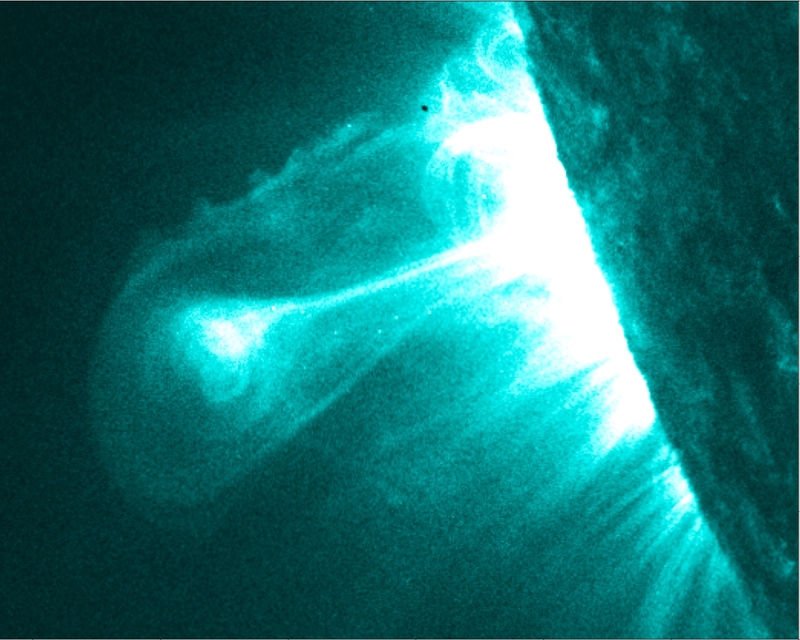 The researchers, led by of the Centre for Fusion Space and Astrophysics, at the University of Warwick’s Department of Physics, made their discovery when examining new images of clouds of material exploding from the Sun known as coronal mass ejections (CMEs). These images were provided by the Atmospheric Imaging Assembly (AIA) experiment on NASA’s Solar Dynamics Observatory (SDO). SDO was been launched last year and provides unprecedented views of the Sun in multiple temperatures. The new SDO/AIA observations provided images of coronal mass ejections in the extreme ultra violet at a temperature that was not possible to observe in previous instruments – 11 million Kelvin. On examining these images the Warwick researchers spotted a familiar pattern of instability on one flank of an exploding cloud of solar material that closely paralleled instabilities seen in Earth’s clouds and waves on the surfaces of seas. When observed these Kelvin-Helmholtz (or KH) instabilities appear to roll up into growing whirls at boundaries between things moving at different speeds, for instance the transition between air and water or cloud. The difference in speeds produces the boundary instabilities. Similar conditions can occur when one looks at the magnetic environment of the path of these coronal mass ejections as they travel through the solar corona. The difference in speed and energies between the two creates the very similar KH instabilities that we can observe in clouds. While KH instabilities have been predicted or inferred from observations as happening within the solar system’s weather this is the very first time they have been directly observed in the corona. What makes this observation even more interesting is that the instabilities appear to form and build on one flank of the CME. This may explain why CMEs appear to bend and twist as these instabilities build, and cause drag, on one side of the cloud. This effect will be the next focus for the University of Warwick led research team. 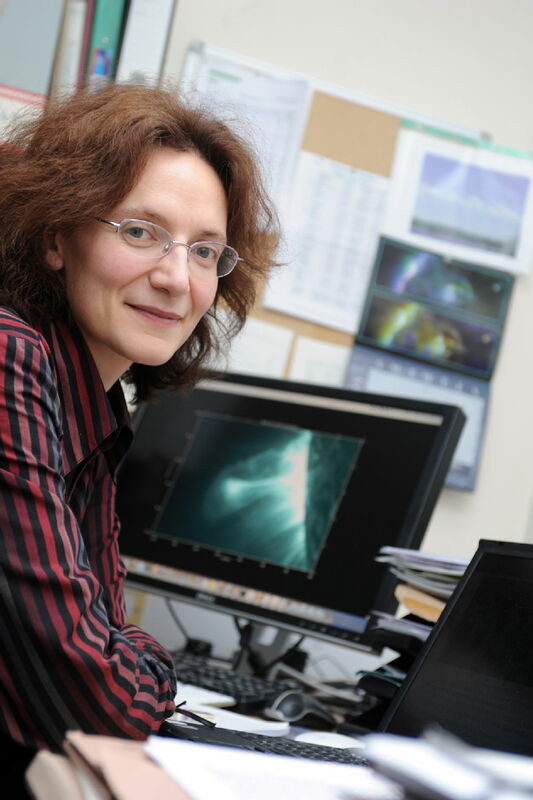 Dr Foullon and her co-researchers have outlined their observations and detailed modelling of how they believe this phenomenon occurs in a paper just published in Astrophysical Journal Letters entitled Magnetic Kelvin-Helmholtz Instability at the Sun by Dr Claire Foullon, Erwin Verwichte, Valery M. Nakariakov Centre for Fusion, Space and Astrophysics, Department of Physics, University of Warwick; Katariina Nykyri, Department of Physical Sciences, Embry-Riddle Aeronautical University, Daytona Beach, Florida; and Charles J. Farrugia, Space Science Center and Department of Physics, University of New Hampshire, Durham, New Hampshire. The research is funded by the The Science and Technology Facilities Council .